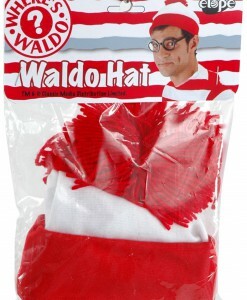 If you are an expert at blending in, then you are going to make the perfect Waldo for Halloween! 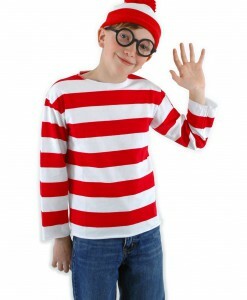 To have much fun at the next Halloween party, all you need is our extensive selection of Where’s Waldo costume ideas that include the best outfits to create that funny look of Waldo! Put on one of those red and white pom-pom beanies, a matching red and white striped shirt and top everything off with one of our round glasses. 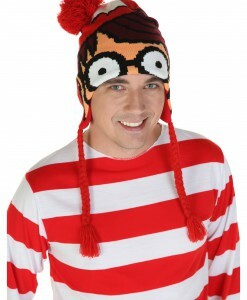 Everyone will surely have a difficult time finding you when you wear one of these Where’s Waldo costume ideas. 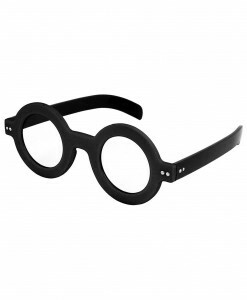 Ladies can also blend in with one of our Wenda costumes that come complete with cute red and white-striped tank dresses, matching mini hats with pom-pom, and classic glasses. Are not you still ready? Everyone is waiting for you! No one will find you when you wear a Where’s Waldo costume. 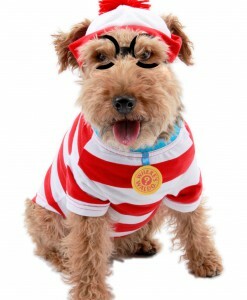 No need to go from one store to another looking for the best Where’s Waldo Halloween costume ideas this year! 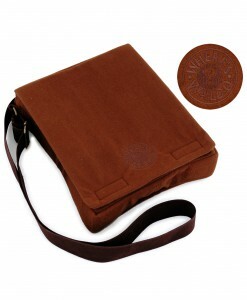 We have what you need right here! From adult Where’s Waldo Halloween outfits to kids’ Where’s Waldo costumes, we carry a look that is going to turn you into the iconic character this Halloween. 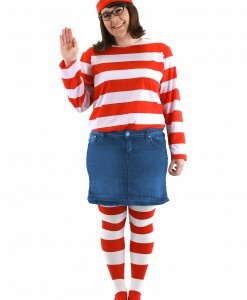 For a perfect couple Halloween costume, we have Wenda costume ideas that go great with any of our Waldo costumes. This Halloween, team up for a night of fun! 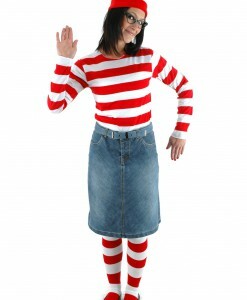 By adding accessories, you can not only enhance but also create a fabulous Where’s Waldo costume for the next Halloween party. 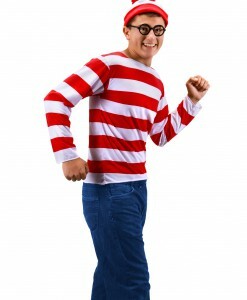 Items such as Wenda socks, Waldo hats, Waldo messenger bags, blue pants, glasses, and others can perfectly complete any striped shirt to create an extraordinary Where’s Waldo costume at an economical price. 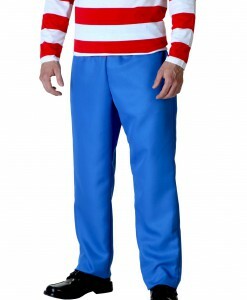 Waldo or Wenda – no matter what Where’s Waldo costume you are looking for, as long as we have stocked all Where’s Waldo costume ideas in one place. 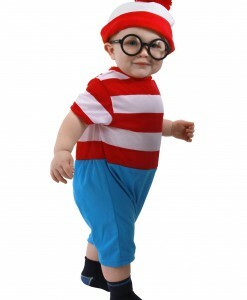 Our Where’s Waldo costume ideas and accessories offer a great opportunity to team up with your family members and close friends for some very special Halloween photos. 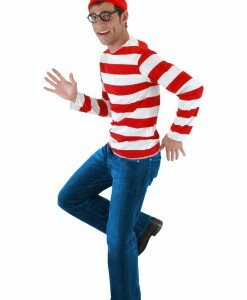 With such a selection of Where’s Waldo Halloween costume ideas for both women and men, it is difficult to pick up just one. 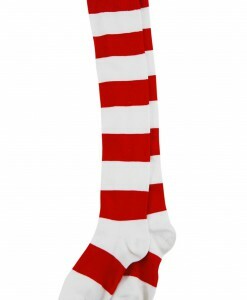 We have all your Where’s Waldo costume and accessory needs covered with free delivery anywhere in the USA, Canada, and the UK. For more Fairytale Costumes, browse our extensive selections of Raggedy Ann Costumes and Princess & Prince Costumes, where you will find a wide variety of adorable outfits to put on for the next Halloween party!